The latest review of the military radar readings. But a comprehensive international review has found that the Malaysian radar equipment had not been calibrated with enough precision to draw any conclusions about the aircraft's true altitude. "The primary radar data pertaining to altitude is regarded as unreliable," said Angus Houston, the retired head of the Australian military who is now coordinating the search. Houston said in a telephone interview that it was clearly possible that at some point during the tracked part of the flight, the plane flew at 23,000 feet. But he said he doubted whether anyone could prove that the plane had soared and swooped the way the initial reports suggested. Martin Dolan, the chief commissioner of the Australian Transport Safety Bureau, agreed with Houston. "There's nothing reliable about height," he said in an interview in his office here in the Australian capital. KUALA LUMPUR, Malaysia — The Malaysian government said Sunday that it would step up efforts to search the southern Indian Ocean for Malaysia Airlines’ missing Flight 370, in the latest indication that a broad international effort to find the plane will continue for many months. The Malaysian defense minister, Hishammuddin Hussein, announced at the opening here of a photo exhibition dedicated to the missing plane that Malaysia would send one of its navy vessels with deep-sea survey equipment as well as two commercial vessels with towed, sonar-equipped submersibles. Malaysia will also keep another naval vessel in the southern Indian Ocean, the Bunga Mas 6, which has been providing logistical support to other ships involved in the search. “The search will not stop until we find it,” Mr. Hishammuddin said. Australia already has a deep-sea survey ship there that it chartered to map the ocean floor in the area, the Fugro Equator, which is designed to withstand the towering waves and powerful storms that sometimes move through the area, 1,000 miles west of Perth. China has also sent a deep-sea survey vessel, the Zhu Kezhen, although Angus Houston, the Australian official overseeing the search, said in a telephone interview last month that the Chinese vessel was less specialized for working in heavy seas. Australia stopped accepting bids last week for a 60 million Australian dollar, or $56 million, contract for up to three towed submersibles to spend as long as a year scanning the ocean floor with sonar for debris from the plane. The Australian Transport Safety Bureau has not yet chosen a winner for the contract. KUALA LUMPUR, Malaysia — Two of the nations most affected by the loss of Malaysia Airlines’ Flight 17 in eastern Ukraine, Malaysia and Australia, are still actively involved in the search for another Malaysian airliner that disappeared over four months ago, juggling two crash investigations that require the involvement of many of the same people. Martin Dolan, the chief commissioner of the Australian Transport Safety Bureau, said that he spent the weekend switching back and forth between the two efforts. He sent two investigators to Ukraine to examine debris from Flight 17 — a pilot and an aircraft engineer — in between going through bids from contractors to search the floor of the southern Indian Ocean for Malaysia Airlines’ Flight 370. Australia announced on Monday morning that Angus Houston, the former head of the Australian military who has been leading the search for Flight 370 since its disappearance in the southern Indian Ocean on March 8, had been sent instead to Ukraine. He will oversee the recovery, identification and repatriation of the remains of the 27 Australians who were aboard Flight 17 when it crashed — more citizens than any other country had aboard the plane except the Netherlands or Malaysia. “He will remain in Ukraine as long as necessary to complete the task,” the Australian government said in a statement that did not name a replacement to oversee the ongoing effort to find Flight 370. Mr. Houston will remain the coordinator of Australia’s Joint Agency Coordination Center, which oversees the Flight 370 search, but his deputy, Judith Zielke, will run the agency while he is in Ukraine. In Malaysia, Defense Minister Hishammuddin Hussein continues to oversee the Flight 370 investigation, mainly because he was the acting transport minister when the plane vanished with 239 aboard. Another official, Liow Tiong Lai, was named as transport minister four weeks ago and is overseeing his country’s Flight 17 response, flying to Kiev on Saturday night to do so. Mr. Hishammuddin, who welcomes the spotlight and is a leading contender to succeed his cousin, Najib Razak, as prime minister someday, scheduled a press conference on Monday afternoon to discuss Flight 17 in Mr. Liow’s absence. But that event was abruptly cancelled after the Malaysian government decided that Mr. Liow should remain the government’s main voice on the subject. On Monday the Prime Minister appointed Air Chief Marshal Houston AC AFC (Ret'd) as his Special Envoy to lead Australia's efforts on the ground in Ukraine to help recover, identify and repatriate Australians killed in the downing of Malaysia Airlines flight MH17. The search for missing Malaysia Airlines flight MH370, which disappeared on 8 March on a flight to Beijing from Kuala Lumpur, continues uninterrupted. We remain fully committed to conducting a thorough undersea search of the likely impact zone in the Indian Ocean. While Air Chief Marshal Houston leads our MH17 efforts in Ukraine, the Joint Agency Coordination Centre (JACC) will continue to coordinate the Australian Government's search for MH370. The underwater search is likely to commence in early September and take up to 12 months to complete. It will aim to locate the aircraft and any evidence (such as debris and the flight recorders) to assist the Malaysian investigation of the disappearance of MH370. This is very, very sad for the victim's families, friends and co-workers. The employees of Malaysia Airlines must also be suffering from the fallout and morale low, especially in light of the shooting down of the Malaysian flight in the Ukraine. So much time has passed and there are no answers for the missing from Flight MH370 and it may be a long time before there are answers, if ever. I hope that Flight 370 is found and loved ones have some closure. I think that the search will resume in September; however, they will have only 12 months to find the plane. 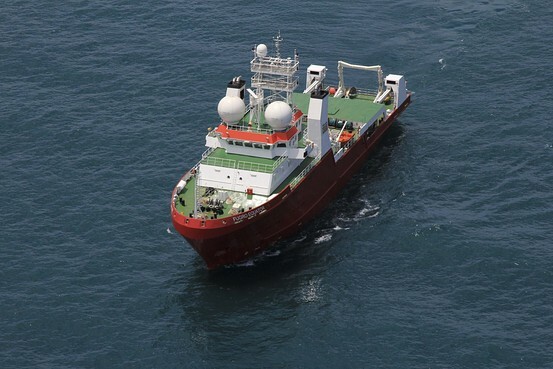 Two ships, Zhu Kezhen and Fugro Equator, continue to work in the southern Indian Ocean, surveying the sea floor in preparation for the deep-sea search for missing Malaysia Airlines flight MH370. In June, an expert satellite working group identified a search zone of up to 60,000 square kilometres, which represents the highest priority for future search efforts. As with previous search areas, it is located along the seventh arc—a thin but long line that includes all the possible points where the last known communication between the aircraft and a communications satellite could have taken place. Before the deep-sea search can commence however, it is necessary to map the sea floor in this remote region of the Indian Ocean, which until now has been poorly charted. The aim is to identify significant features on the sea floor, which may present a hazard for the deep water vehicles that will be used for the search. Since 24 May 2014, the Zhu Kezhen, a Chinese PLA-Navy vessel has been conducting survey operations. The bathymetric data it is collecting will assist in characterising the sea floor topography. As of 30 July 2014, it has sounded over 25,000 square kilometres along the seventh arc. Fugro Equator, an Australian-contracted specialised survey vessel, has also been conducting bathymetric survey work. As of 30 July 2014, over 43,000 square kilometres have been sounded by Fugro Equator. Analysis and mapping of this data is continuing. On 6 July, the Government of Malaysia announced that its hydrographic survey vessel, the KD MUTIARA, would join the Zhu Kezhen and the Fugro Equator in August to continue the bathymetric survey work. It is expected that the bathymetric survey work will be completed by September. The deep-water search is expected to commence in September following the appointment of a prime contractor through a request for tender process. Now, two months after pausing its search, the Australian Transport Safety Bureau is ready to reboot the massive probe. It is poised to select among bids from the world’s most-advanced deep-water specialists, including offshore oil-and-gas companies, maritime research institutions and treasure hunters eager to use their technologies and experience to solve the Flight 370 riddle—and potentially raise their own profiles in the process. The ATSB is expected to choose one or more of the bidders over the next several weeks before relaunching the search with $56 million in funding in late August. Those costs will be split, in amounts still to be determined, between the Australian and Malaysian governments. The good news is that the world’s deep-sea recovery industry is now more sophisticated than ever, thanks to offshore research by oil-and-gas firms that have gone progressively deeper, as well as militaries and insurance firms. Technologies developed to hunt for everything from the Titanic to lost parts of the Space Shuttle Challenger have further expanded frontiers, allowing investigators to work as deep as about 3.7 miles, or slightly more than the deepest-known area of the Flight 370 search zone. But with no hard evidence of where the plane went down, the search will test the recovery industry’s abilities like nothing before. In June, Australian authorities shifted the search zone for a third time—by about 600 miles to the southwest—after reanalyzing satellite transmissions. Even then, they said it was impossible to know whether the fresh search area would prove correct. At stake is the emotional well-being of relatives and friends of the passengers from the plane, left in suspended animation while authorities search for answers. There is also the issue of maintaining public trust in the aviation industry, which rarely experiences unsolved disasters. For its part, Australia has such a visible role because the waters are in a region it handles under a global civil aviation agreement. Under the bidding process, companies angling to play a role in the search can work alone or bid as part of a consortium. Each signed nondisclosure agreements about their bids with the Australian government, but The Wall Street Journal was able to confirm through people familiar with the process at least eight outfits that are bidding for a role. Among them: Fugro NV, a Dutch oil-and-gas consulting firm that has brought its top subsea sonar guru out of retirement to help with the effort. Others include Oceaneering International Inc., a Houston oil-services firm that makes space suits and robotically controlled amusement park rides that also helped find the Titanic in 1985. Then there are the treasure hunters—companies and individuals that make a living exploring the deep for profit. One is Odyssey Marine Explorations Inc., a Florida firm listed on the Nasdaq that a few years ago recovered around $500 million from a Spanish ship sunk off Portugal in 1804. Others include Williamson & Associates, a Seattle outfit led partly by Art Wright, a well-known underwater explorer who still rows competitively in his 70s. Another is Blue Water Recoveries, a U.K. firm led by bearded oceanographer David Mearns which holds the Guinness World Record for the deepest wreck ever discovered: a German World War II blockade runner known as Rio Grande found in 1996 nearly 5,800 meters below the surface. “It is definitely the search of my generation,” said Colleen Keller, a senior analyst at Metron Inc., a Virginia-based scientific consulting firm that also has joined a consortium competing for the Flight 370 contract. Her firm assisted with the Air France search and has also worked with the U.S. Department of Homeland Security. Thank you for the continued updates grace-land. May there be answers soon. You're welcome, MuffyBee! Waiting for answers, too. Maybe the companies willing to search will bid as part of a consortium and find the plane. Malaysia's Petroliam Nasional Berhad (Petronas) reported Monday that the company continues to provide technical support and funding for the search-and-recovery (SAR) operations for the missing Malaysia Airlines flight MH370 by deploying an underwater search equipment and a support vessel to the new search zone. The national oil company will fund $20.93 million (MYR 67 million) for deployment of the Prosas Towed Side Scan Sonar and Marine Support Vessel, which will be used for deep-water search. Petronas expresses empathy with the pain of the families of the people on board of the missing flight and shall continue to support the SAR operations led by the Malaysian Government, namely the Ministry of Defence. MH370 A mixed bag of oil-and-gas companies, maritime research institutes, treasure hunters and math wizards are among the groups jostling for the contract to search for the missing Malaysia Airlines (MAS) flight MH370, according to the Wall Street Journal. It said at least eight outfits are vying for a role in the search through Australia’s tender process, mostly bidding as part of a larger consortium because they lack the resources to tackle the project alone. In the meantime, ATSB chief Martin Dolan will be spending weeks sifting through the bids with the help of five bureaucrats, the WSJ reports. It said that Dolan could choose one or more bidder and the bidding rules allow him to consider more than just the lowest bidder. The choice will be difficult. “Among the hardest (decision): whether to bet heavily on companies like Williamson & Associates, which specializes in using relatively simple towed sonars, or outfits like Woods Hole that have their own higher-tech autonomous underwater vehicles, or AUVs. “A wrong choice could reduce the search's odds of success,” the report said, while explaining at length some of the pros and cons of each technology. “The decision, fortunately or unfortunately, in the end rests with me,” Dolan was quoted as saying. He has a budget of AU$60 million (RM180 million) for the search, which will be split between the Malaysian and Australian governments at proportions that has yet to be determined, the WSJ said. Today Australia, Malaysia and China jointly announced that Australia has awarded a contract to Fugro Survey Pty Ltd (Fugro) to conduct a search of the southern Indian Ocean sea floor for missing Malaysia Airlines flight MH370. Fugro will use two vessels, equipped with towed deep water vehicles and carrying expert personnel, to undertake the search operations. The vessels will search the sea floor using side scan sonar, multi-beam echo sounders and video cameras to locate and identify the aircraft debris. The underwater search of the 60,000 square kilometre area is still expected to take up to 12 months to complete. Assets are already mobilising with Fugro Discovery en route to Perth from the United Kingdom. Fugro Equator, currently acquiring bathymetry data in the search area, will be the second search vessel and will be mobilised when the bathymetry work is complete in mid-September. The Malaysian Government has committed to support the joint search effort with four vessels. The KD MUTIARA, a naval survey ship will be arriving in late August to join the bathymetric survey work. Two vessels equipped with side scan sonar and remotely operated vehicles will be integrated into the overall capability for the underwater search being led by the Australian Transport Safety Bureau. Malaysian naval vessel, Bunga Mas, will continue to support the search, as it has since April. The Chinese vessel, the Zhu Kezhen, continues to work in the southern Indian Ocean, surveying the sea floor. China has committed to the Zhu Kezhen remaining in the search area until mid-September. Australia said Wednesday that Fugro has won the bid to relaunch MH370's search. Unlike some of its fellow bidders, Fugro historically hasn’t focused on deep-sea recovery, but rather on geotechnical services like underwater mapping for off-shore oil and gas clients. Other bidders like the UK-based Blue Water Recoveries and the Odyssey Marine Exploration specialize in recovering modern shipwrecks or search-and-recovery in deep ocean exploration. Fugro, which has pursued some underwater search missions in European waters, attributes its win not to advanced technology, but instead to a calculated balance. The multinational search effort for MH370 is making good progress with the mapping of over 43,000 square kilometres of the high priority search area to date, in preparation for the commencement of the deep-water search in September. Yesterday, the Deputy Prime Minister announced on behalf of Australia, Malaysia and China, that the underwater search would be conducted by Fugro Survey Pty Ltd. It may take a miracle to find this needle in a haystack plane, but I believe in miracles. I'm holding hope there will be answers. Thank you for keeping this thread updated, grace. Malaysian police say a HSBC bank officer and her husband were collared Thursday in the theft of nearly $35,000 from four missing passengers' bank accounts in July, CNN reported. Police are continuing to look for a third person identified as a Pakistani national named Ali Farran. Two people have reportedly been arrested in the theft of nearly $35,000 from bank accounts belonging to passengers on the doomed Malaysia Airlines Flight 370. Malaysian police said a HSBC bank officer and her husband were collared in the theft Thursday after funds belonging to four passengers — missing since the flight’s March disappearance — mysteriously drained from their accounts in July, CNN reported. Authorities say they are continuing to look for a third person by the name of Ali Farran. The Pakistani national is suspected of withdrawing the money at a local branch after the funds were transferred into his account on July 14. "We are still trying to locate this Ali Farran, who last worked as a car mechanic," Assistant Commissioner Izany Abdul Ghany of the Kuala Lumpur Commercial Crime Investigation Department said Monday, according to CNN. All together $34,911 or 110,600 Malaysian ringgit is said to have been stolen from the accounts belonging to two Chinese passengers — Ju Kun and Tian Jun Wei — and two Malaysians — Hue Pui Heng and flight steward Tan Size Hian. Police said the bank first noticed the money was missing on July 18 before reporting it to police on Aug. 2 following an internal investigation. As of Monday the 33-year-old HSBC employee and her husband have not been charged or identified in the theft. City police chief Senior Deputy Comm Datuk Tajuddin Md Isa said they are gathering more information before taking further action while a source told London's Mirror that police believe there are more people involved. CANBERRA, Australia -- Just weeks before the hunt for the missing Malaysian airliner is set to resume, an Australian official said Thursday that the sprawling search area in the southern Indian Ocean may be extended farther south based on a new analysis of a failed attempt to call the plane by satellite phone. Liow said investigators had advised that success in the undersea search for wreckage and the aircraft's black boxes with cockpit voice recordings and flight data is crucial to solving the mystery of the disaster. Chinese Vice Minister of Transport He Jianzhong, who also attended the Canberra meeting, said the ministers agreed that the search will not be interrupted or given up. Most of the passengers - 153 - were Chinese.